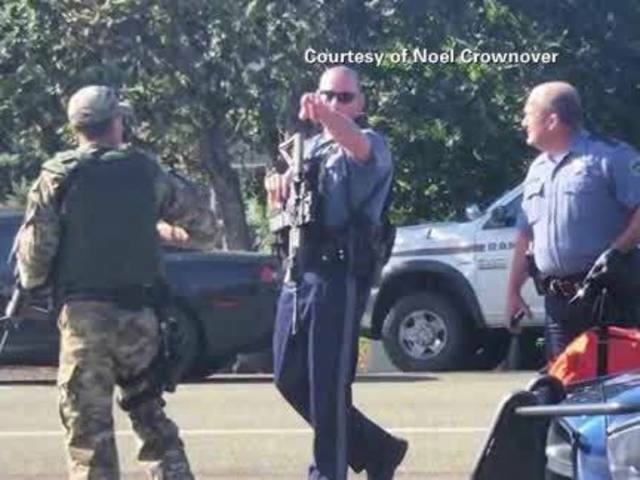 According to the Associated Press, the sheriff says the Oregon college gunman was killed during an exchange of gunfire with officers. The exchange took place in or near a classroom. It is unknown if the man shot himself or if he was shot by police. 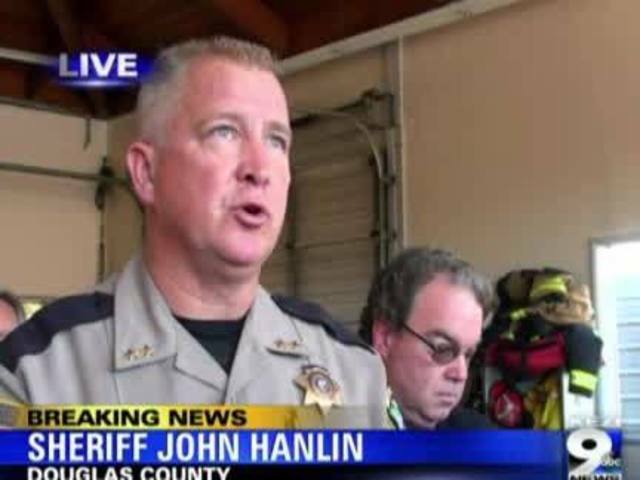 The Oregon attorney general said 13 people were killed and at least 20 people are wounded after the shooter opened fire at an Oregon community college. Oregon Gov. 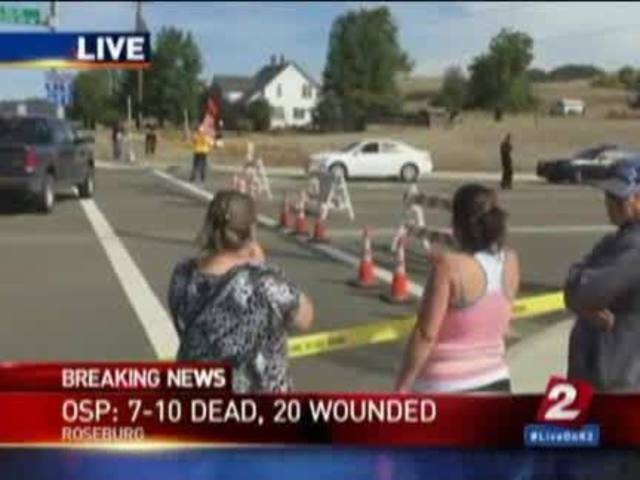 Kate Brown told the AP the gunman was a 20-year-old man. Authorities issued an active shooter warning at Umpqua Community College in Roseburg, Oregon at 11:30 a.m. Thursday. Authorities are advising people to stay out of the area. The city is about 180 miles south of Portland. "It's extremely concerning and sad," Endi Hartigan, spokeswoman for the Oregon Higher Education Coordinating Commission told the AP. Umpqua Community College has about 3,000 students.